From laptops to mobiles and cars to kitchen appliances, human efforts have been significantly reduced by the introduction of digital devices. As a student, it is essential for all of us to know the basics of digital electronics. CircuitsToday has provided a list of 4 very good books in this subject. It is being used by universities all around the world for basic reference as well as advanced studies. All these books have been reviewed in detail, and the links to buy these books have also been provided. Buy them now! This book is very well known for its connecting bridge between the theoretical and practical gap and has proved to be a firm foundation in the basic digital design technology. Apart from the basics in digital technology, the book has provided a lucid and simple explanation of basics for advanced topics like microcomputers, bus structures and memory systems. 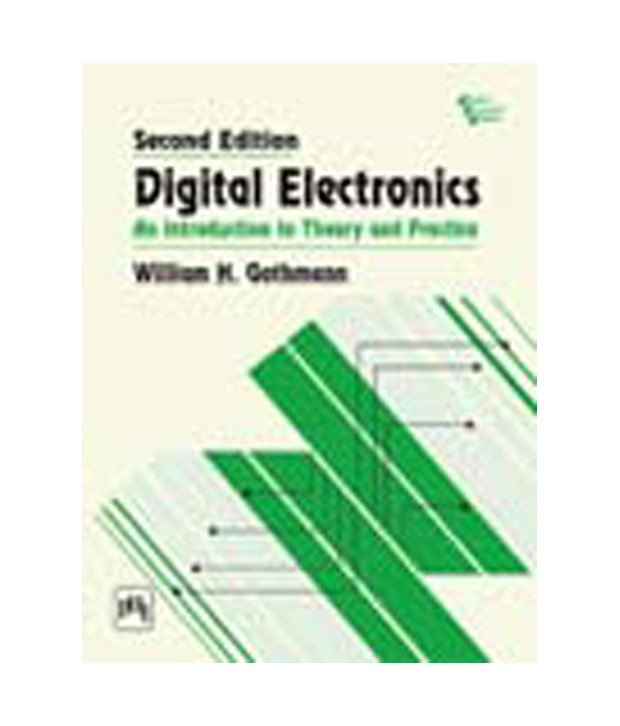 The author of the book is William Gothmann H, who has published other famous books in practical electronics like Contemporary Mathematics for Electronics, and Electronics: A Contemporary Approach. This book is a very common reference book fir engineering students, teachers, and enthusiasts who have some basic knowledge in electronics. The book also has a section on digital fault finding and useful IC data sheets. 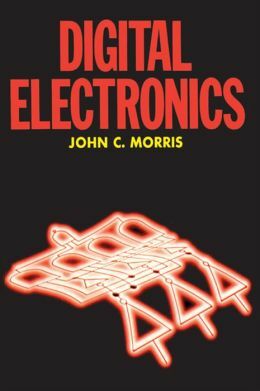 The author John Morris, has employed a discovery based approach, and has successfully covered the basic theory before continuing his publication on logic networks, integrated circuit applications, and analog to digital conversion. There is only one word to describe this book â€“ AMAZING! The notable feature of this book is that all the fundamentals are explained in very simple words that any beginner could easily grasp. Step by step procedures for the first few chapters like number systems, binary codes, and logic gates (anything with basic mathematics) is given neatly with a lot of examples. Each problem based topic is explained with at least 2 examples, in which one will be simple and the other one being a little tougher. All questions are solved with more than one scenario. All the basic digital concepts are explained with a neat practical approach. Te book is mostly used by engineering students, professors, and also can be used as a reference for self study. Thus, this book is being followed by most of the universities in India. The book is highly recommended and is definitely worth the money. The book is written by an Indian author, A. Anand Kumar. He is the principal of the College of Engineering, KL University. He started working as a professor for SDM College of Engineering, Dharwad in 1983. With almost 40 years of teaching experience, he has written many prominent books like Pulse and Digital Circuits, Switching Theory and Logic Design, Digital Signal Processing, and Signals and Systems. This book has basics in digital electronics and a little more advanced topic like Integrated Circuits, Microcontrollers and so on. A little basic knowledge in electronics is required to study this book. 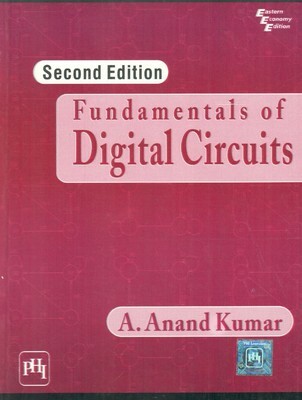 The book has a detailed explanation of the basics of digital electronics along with integrated circuits and its application principles. The book is preferred by engineering students studying electrical, electronics, and computer science. It is also a reference book for researchers and professionals. The solved objective type question and multiple choice questions at the end of each chapter is really helpful for exams. The book covers latest application fields including digital instrumentation, programmable logic devices, microcontrollers, microprocessors, and digital troubleshooting. 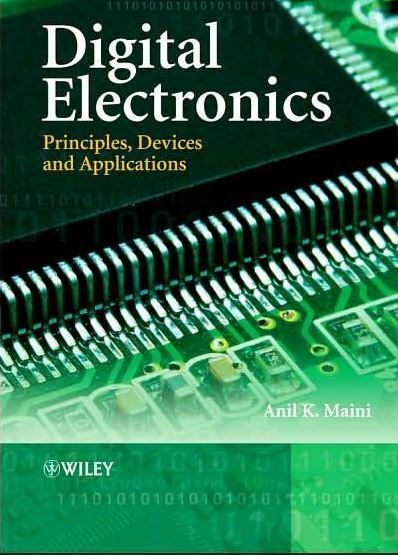 Dr. Anil K Maini is an Indian author and the proud writer best sellers like Electronics Projects for Beginners, Electronics and Communication Simplified, Handbook of Electronics, Electronics for Competitions, and so on. He is a senior scientist a Laser Science and Technology Centre under DRDO. He has written and published numerous articles in topics like Laser Systems, Optoelectronic Sensor Systems, and Digital Electronics. I would add to this wonderful list the book “Digital Systems: Principles and Applications” by Ronald J. Tocci, Neal Widmer and Greg Moss. ItÂ´s a masterpiece of information on the subject.